This show broadcasts on May 10, 2015. First hour: 21st Century Wire, one of the best alternative media outlets, has done a terrific job exposing the recent false flag in Garland, Texas. See: Hebdo Redux in Garland, Texas? ‘Mohammed Cartoon’ Shooting Reeks of a Staged False Flag. 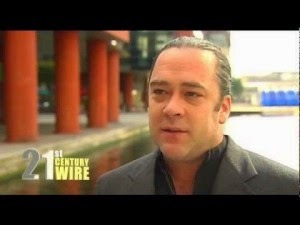 Founder Patrick Henningsen joins Truth Jihad Radio to discuss the latest in false-flaggery, the rise of truth-telling alternative media, and more. Second hour: Gordon Duff, Senior Editor of Veterans Today, has been staring down controversy this week, since a few VT writers (including my FFWN co-host Jim Fetzer) were unceremoniously ejected. What’s up at VT? Is Obama really going to invade Texas, arrest George W. Bush, and lock him and other white people up in the Waco Wal-Mart? Do the ex-VT writers really think Gordon is part of a NWO plot to zap us with death rays and lock us up in Wal-Marts? Or was the whole dispute mainly about personalities and egos? This entry was posted on Saturday, May 9th, 2015 at 10:34 am	and is filed under 9/11, Anti-War, Censorship-Propaganda, False Flag/Fake Terror, Freedom, Justice, Kevin Barrett, News, Protest. You can follow any responses to this entry through the RSS 2.0 feed.